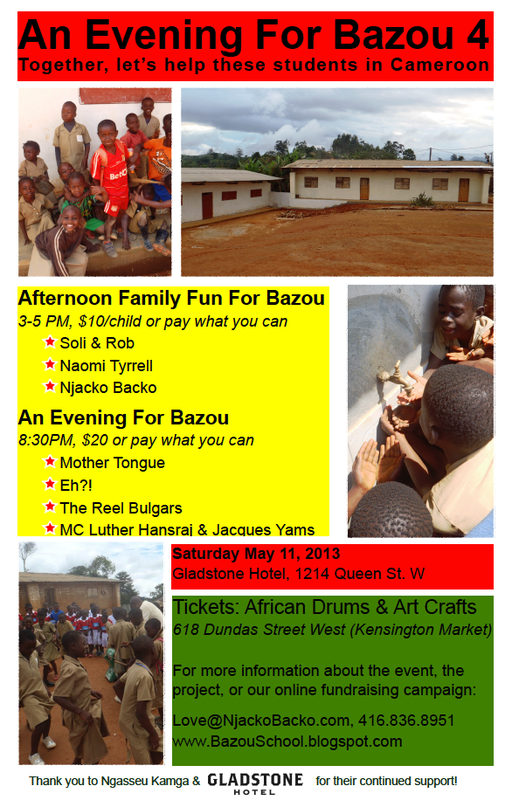 We have finalized the lineup for the fundraiser on May 11th, and are excited to share it with you. 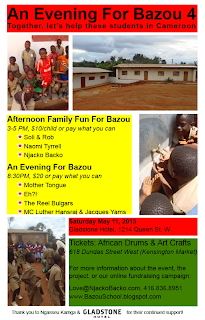 The Gladstone Hotel has graciously offered to host the fundraiser again this year - thank you Gladstone! 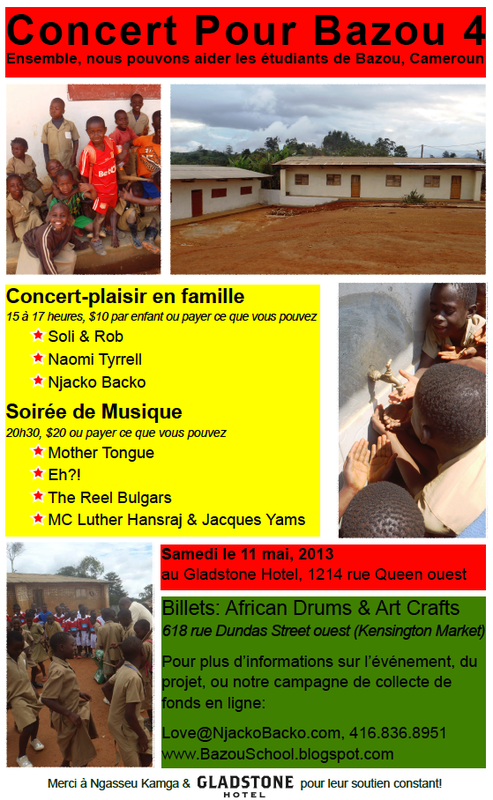 Mother Tongue - Musical influences from around the globe are fused into the inspired sounds of the band Mother Tongue, the recipients of "Music Africa" awards as "Best Pan African Band" in 1994 and "Best African Band" in 1995 and nominated for a Juno Award in 1994 for their album Enat. Get ready to dance to the infectious rhythms of Mother Tongue! 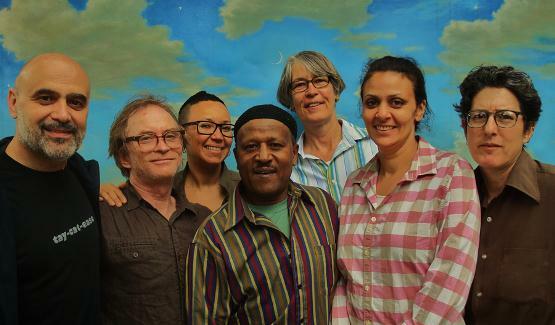 The band is represented by Celina Carroll, Carlo Cesta, Rachel Melas, Conny Nowe, Yared Tesfaye, Maryem Hassan-Tollar and Chip Yarwood. Eh?! 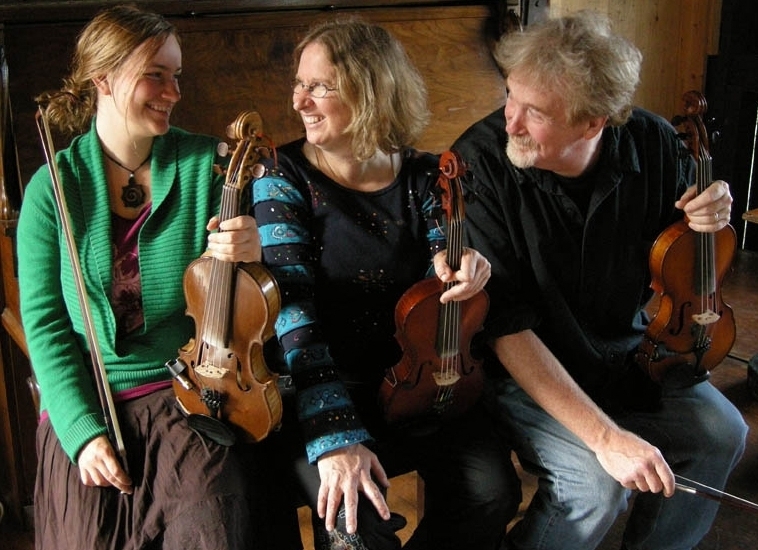 - A new collaborative ﬁddle-based trio of Emilyn Stam, Anne Lederman and James Stephens. Eh?! combines an unparalleled depth of knowledge of traditional Canadian music from throughout the country with innovative original expression. Dedicated to exploring the myriad pathways between the old and the new, EH?! brings together veteran and young musicians in creative exploration. All three core members of Eh?! sing and play several instruments: voices, piano, mandolin, guitar, feet, percussion and accordion all weave their way through an Eh?! experience. The Reel Bulgars - The Reel Bulgars started in 2011 as the brain child of a small group of parents with musical kids who wanted to provide a musical outlet outside of school ensembles and education programs. 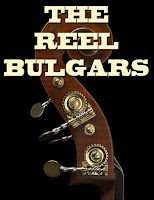 The group meets weekly and all the musicians are encouraged to contribute repertoire. Arrangements are created sometimes as written out pieces and sometimes as a group effort in rehearsal. The current repertoire includes traditional Irish, French and Klezmer tunes. 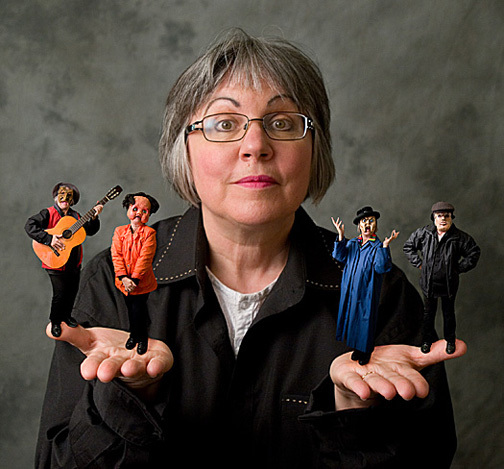 Soli & Rob - Touted by Amy Verner in TORONTO LIFE magazine as one of the “biggest names in pint-sized entertainment,” Soli & Rob have written & performed 4 Alistair Ant shows, each one a captivating blend of puppetry, acting, dancing & original music. “Bigger the Better, said Alistair Ant!”, in which Alistair laments his smallness, broke KidsVenue audience attendance records at the 2002 TORONTO FRINGE FESTIVAL. Soli & Rob’s entry in the 2004 Fringe Fest, “Double Trouble for Alistair Ant” was selected as a critic’s pick by the TORONTO STAR. Naomi Tyrrell - Naomi Tyrrell has performed in very cool places like China, Japan, Yugoslavia and off Broadway New York. 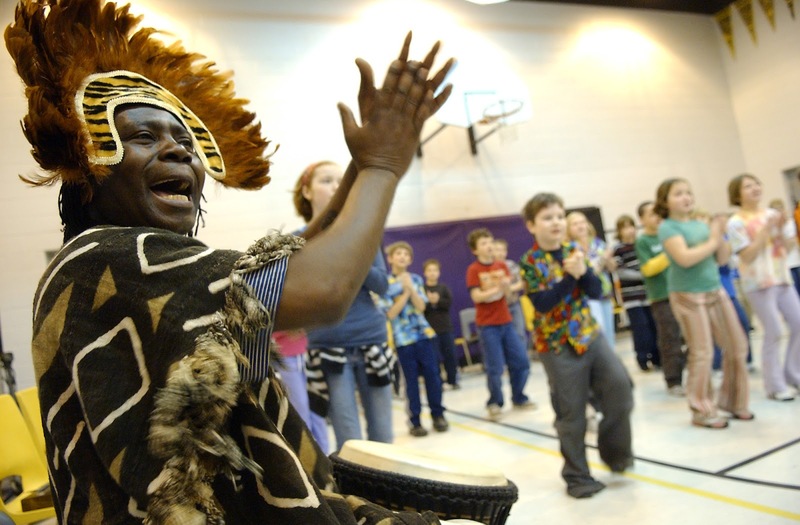 She plans to help Njacko teach story telling through Mime, Mask and Music to folks in his home town in Africa. For this special fundraiser Naomi is bringing her most favourite wild and wonderful characters. Get ready to sing, sign and laugh your way through a world of fun. Howl with Gramps, yodel with Gretchen and wrap it all up with Red Dog Rapper. Njacko Backo - Story and music time with the energetic and engaging Njacko Backo! Below you will find the posters (French and English) - please share with your friends and family! this is a great blog for sharing .